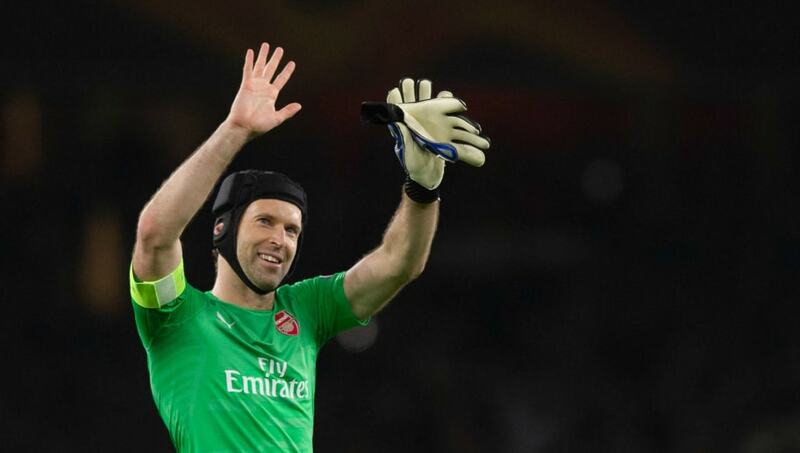 After making his professional debut over 20 years ago, former Chelsea and current Arsenal keeper Petr Cech has announced that he will be retiring at the end of the 2018/19 season. Since arriving in England from Stade Rennais in 2004, the Czech keeper has made over 600 appearances in all competitions, winning four Premier League titles, six FA Cups, three League Cups, one Europa League title, and one Champions League trophy. As the man himself put it in his statement, he's won everything. Here's a list of seven of the very finest moments from his illustrious career. Cech has made plenty of remarkable saves during his career, but one of his most notable came in 2013 against Manchester United in an FA Cup quarter-final replay. With Chelsea a goal to the good after 60 minutes, United looked certain to equalise when Javier Hernandez latched onto the end of a teasing cross, but Cech was able to scuttle across his goal line before stretching out a top hand to lift the Mexican's header up over his cross bar. 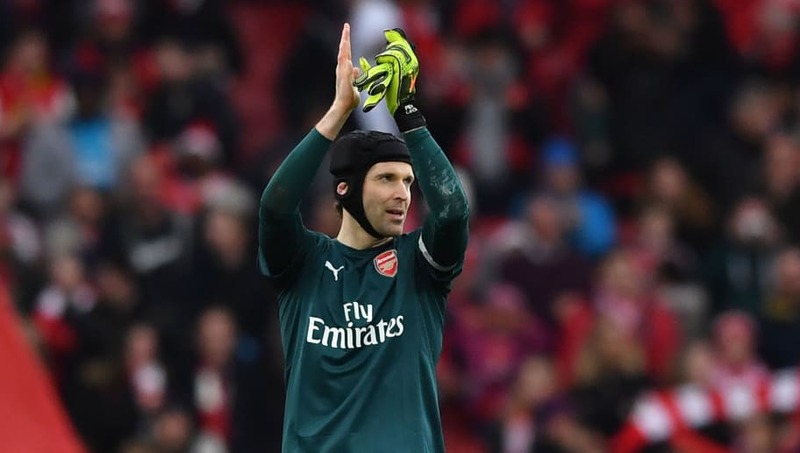 Cech has managed to achieve four Premier League golden glove awards during his time with Chelsea and Arsenal, which is the joint highest total of any goalkeeper. 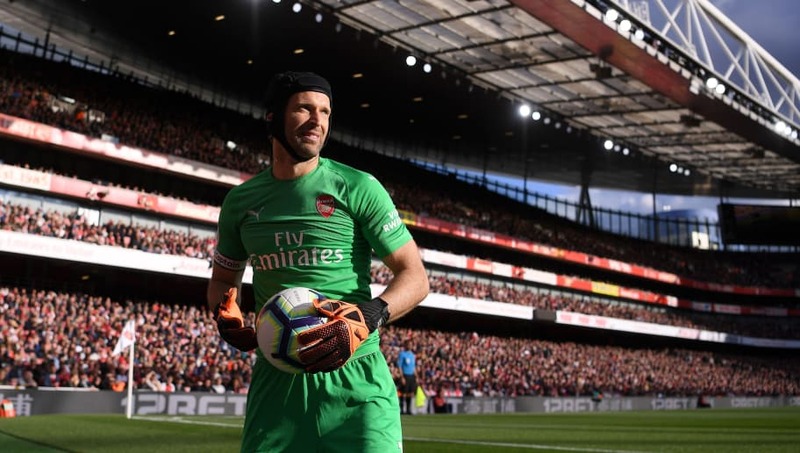 He is also the only keeper to have ever won the golden glove with two different clubs, having earned three during his time with Chelsea and one in his debut season with Arsenal back in 2015/16. He is also the second most successful keeper when it comes to Premier League titles, having won four, narrowly behind Peter Schmeichel who won five with Manchester United. Chelsea were the dominant force in the 2010 FA Cup final against Portsmouth, but it took a penalty save from Cech to help them on their way to a 1-0 victory. The Blues were undone twice during the match, but Cech was on hand to bail them out on both occasions, propelling them to their first ever double in the process. First, he saved a point-blank effort from Frederic Piquionne and then, with the game still goalless, he saved a penalty from Kevin Prince Boateng. Jose Mourinho guided Chelsea to their first league win in over fifty years when the Blues lifted the Premier League trophy in 2004/05 and Cech was absolutely pivotal to that success. His was outstanding that year, keeping an incredible 24 clean sheets, which is the highest number any goalkeeper has ever been able to achieve in Premier League history. Along the way, he also only conceded 13 goals in 35 appearances and was deservedly voted into the PFA team of the season for his remarkable performances. Chelsea's Champions League victory in 2012 was certainly unexpected and it wouldn't have been possible if it weren't for Cech's heroics in the final against Bayern Munich. 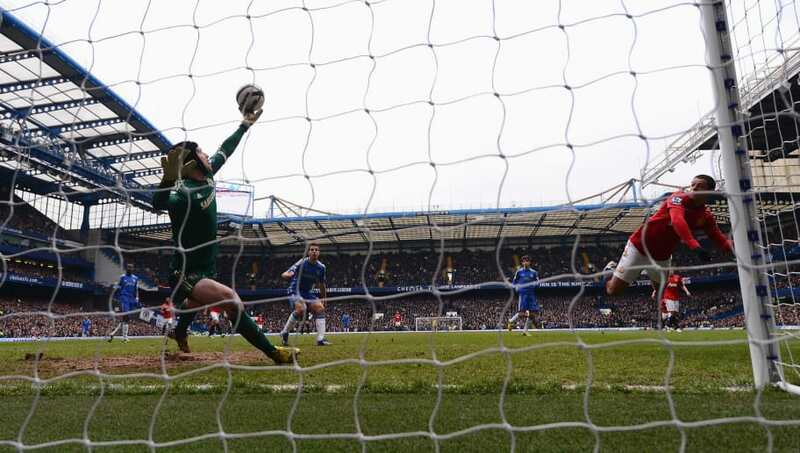 With the scores tied at one a piece in extra-time, Cech was able to keep out a penalty from Arjen Robben, giving Chelsea the opportunity to win the final from a shootout. Cech pulled off further heroics from the spot, saving from Ivica Olic before getting the slightest of touches on Bastian Schweinsteiger's effort. Didier Drogba then went on to stroke home the winning penalty for the Blues. Cech holds the record for the most clean sheets by a Premier League goalkeeper with 202, surpassing David James previous record of 169. He broke the record in a 2-0 win over Bournemouth in 2015 and, although it took some time, he went on to earn his 200th with a 3-0 win over Watford in March 2018 - a game in which he saved a penalty. 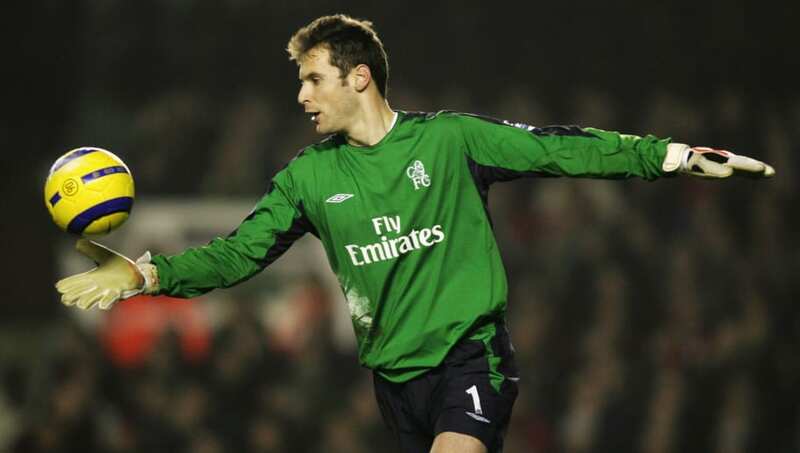 He also holds the record for the most clean sheets at a single club, having kept 162 at Chelsea. For all of Petr Cech's remarkable statistics, jaw-dropping saves and inspired performances, his greatest achievement was being able to recover from the horrific head injury he suffered back in 2006. It's no exaggeration to say that the injury was potentially career ending. 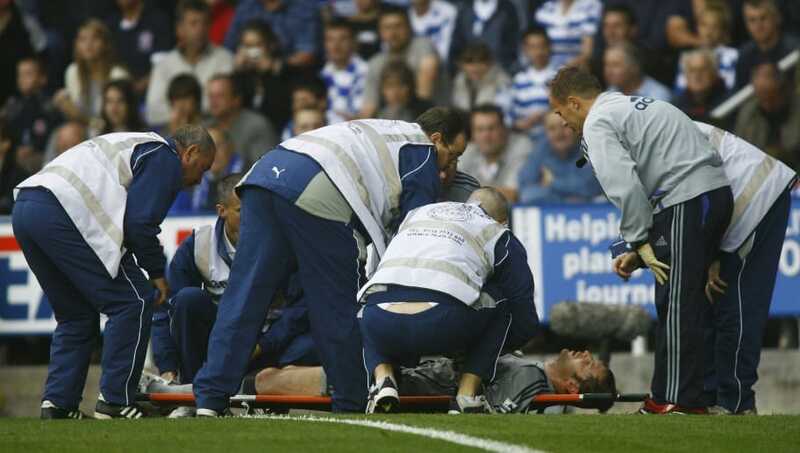 After Reading's Steven Hunt clashed into Cech's head, he suffered a depressed skull fracture and was out action for almost half of the 2006/07 season. He came back sporting his famous protective head gear and he hasn't let that injury prevent him from becoming one of the Premier League's greatest ever goalkeepers - that deserves everyone's respect.